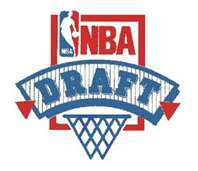 Total coverage of the NBA draft starts at 5PM EDT on the Mooheadradio network with the Moohead show. At 6PM we talk football with Eric Galko, Dir. Of Scouting for Optimum Scouting. Then we preview the NBA draft with Dave Kay basketball guru with walterfootball.com and AJ Zahra (STOman). The live coverage of the Draft begins at 7:30 brought to us by our friends at Sportsims.net.